Send A Message To Dr. Lake. With over 16 years experience in the mental health field, my background includes working with accident victims, psychiatric clients, individuals with adjustment issues and survivors of abuse and trauma. I enjoy helping couples in conflict and individuals with problems such as eating disorders, unfinished business related to the past, grief, low self-esteem, interpersonal problems, fears and anxieties. I have advanced training in Emotionally Focused Therapy (EFT) for individuals and couples. 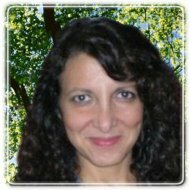 I provide interventions such as Hypnosis, Emotional Freedom Technique and Eye Movement Desensitization Reprocessing (EMDR), an approach that is very effective in working with trauma and a variety of disruptive emotions such as depression and anxiety. Other therapeutic approaches I adopt to help with recovery include cognitive-behavioural, narrative, solution-focused, Gestalt, and psychodynamic. In my practice I have found it to be very important to work collaboratively with my clients and to help them draw from personal strengths and resources to enhance personal self-leadership and to facilitate enduring change. I tailor my approaches to each individual’s need and goals. As well as my work in private practice, I host a weekly radio show, the Dr. Lake Show, on CHLY, 101.7 fm, community radio for Nanaimo. This show airs on Monday evenings at 7:00 pm. The show covers a variety of topics related to enhancing well-being and building resources to enhance resilience. Past shows are available on podcast at http://www.chly.ca/.